As a child, her father’s parental rights were severed because of substance addiction, abuse and neglect. During extensive court proceedings, Becker had a guardian ad litem through CASA (court appointed special advocate) support. Her mother later remarried, but things were still rocky at home until she graduated from high school. “School became my sanctuary; it offered me structure and support,” said Becker, who grew up in Chesapeake, Virginia. When it was time to apply for colleges, she was set on going as far away from home as possible — until she visited William & Mary. Soon her instincts were confirmed. At philanthropy day during sorority recruitment of Becker’s freshman year, she heard two Kappa Alpha Theta members talk about their personal experiences with CASA and how Theta gave them a home. During her time at William & Mary, Becker committed herself to learning as much as she could about children’s rights. She knew firsthand that one person can make a difference in a child’s life. She joined Kappa Alpha Theta and became the service and philanthropy director. As she learned to embrace her own story, she poured her energy into raising money through the sorority to support the local CASA program. She organized four fundraising events and spearheaded a letter writing campaign to ultimately raise more than $30,000, far above what the sorority donated in previous years. “William & Mary has taught me how to tell and be proud of my story after so many years of being ashamed of it,” said Becker. A government major, she has many extracurricular responsibilities on campus, including serving as a president’s aide, chief of staff of Student Assembly, a conduct and honor advisor, an orientation aide, and as a student representative to the Board of Visitors and on the Leadership Advisory Council. Her hard work and dedication certainly paid off. She spent last summer in Washington, D.C., as part of William & Mary’s D.C. Summer Institute, an accelerated academic program that includes site visits, lectures and networking with experts and alumni. 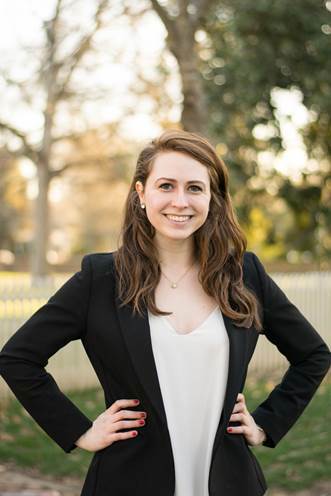 Becker also interned on the Child Welfare policy team at Children’s Defense Fund — an opportunity that was only possible for her through the support of a Parents Fund scholarship. During Convocation this year, Board of Visitors member Karen Kennedy Schultz ’75 introduced Becker to Virginia Senator Monty Mason ’89 who is a strong advocate for child and family rights. After hearing about Becker’s summer experience, Mason offered her an internship on the spot. In the spring semester of 2019, Becker has an internship lined up with the Virginia General Assembly. Each year, the Parents Fund supports scholarship and student life initiatives while providing funding for the most urgent student needs. Becker’s mentor, William & Mary public policy professor Andrew D. Stelljes Ph.D.’07, nominated her for the scholarship award. He was particularly impressed by her ability to make good from a challenging start. After graduation, Becker wants to move to Richmond, Virginia, to continue to advocate for children. She also plans to attend law school and become a family law attorney.